You Know You Love Me Already (I Hope! )...So Win $1,000.00 For Doing So! Gain entries in this giveaway by following Newly Crunchy Mama Of 3 on GFC, Facebook, and twitter! The giveaway starts August 1st 12 am EST and will run until August 15th 11:59 pm EST and is open worldwide. HI! 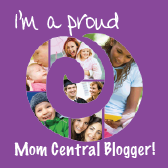 I found a link to your site from Simply Stacie and entered your contest, YAY!! Do you need to be involved with all three to enter? Or, is one enough? Thanks! I sure hope I win this one.. I follow on here and FB!! I am so excited to be a part of this event! (And you better believe I will be visiting all 3 sites to enter!) You can do 1, 2, or all 3, as each will count for an entry. However, keep in mind that these entries will be verified by either Survey Junkie, Simply Stacie, or Little Yayas. So make sure to follow now so once the giveaway begins you're all ready to go!